This office is less than 5 minutes from restaurants, beauty parlor, gym, kindergarten and pharmacy. This office is also walking distance to the beach and you can go for a run or a walk to relax from a hard day at work or just to go and relax at the beach. The regional transport links are also excellent, with a range of frequent and convenient services in operation throughout the area via numerous road and rail networks. Occupying the whole of the 11th floor and providing great views spreading across the city this fantastic office space is within one of the most prestigious buildings in Cancun, five miles away from Boulevard Kukulcan, a major road link that connects the business and the tourist zone (Zona Hotelera). 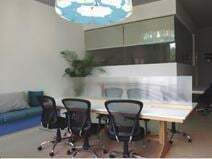 This center provides a large number of fully furnished private serviced office suites, virtual offices, co-working spaces and spacious meeting rooms. This business centre boasts great views and an excellent location on Bonampark Avenue, with easy access to the rest of the city. Offering state-of-the-art technology, this centre is close to hotels, retail, restaurants and much more.